A military officer in Bangladesh is a part of the Bangladesh Army, which is the land forces branch and the largest of the three defense service of the Bangladesh Armed Forces. Providing necessary forces and capabilities in support of Bangladesh’s security and defense strategies including defense of the nation’s territorial integrity against external attack is the primary mission of the Army. It’s also constitutionally obligated to assist the civilian government during times of national emergency in addition to its primary mission the Bangladesh Army and its officers. You have to appear before the recruitment calls published in the national dailies to be selected as a recruit for training as a soldier and it’s the first step to become a military officer in Bangladesh. The advertisement for the recruitment comes on the national dailies before starting the recruitment processes. Among others, most enlisted recruiting efforts focus on an occupational model that’s a paid training. Apart from these, there is free medical care and good salaries after successful completion of the training period. Focusing on intangibles benefits like pride, sense of duty, and prestige, the recruiting material for would-be officers tends to be more ambiguous. Although the work can’t get done without outstanding enlisted men and women, the gap in responsibility between entry-level enlisted and a newly-commissioned lieutenant is pretty wide. Because they joined under the pretenses of a “me” culture, it just wouldn’t do to have junior officers endangering the lives and welfare of their troops. You’ll need the specific educational qualification to join as a military officer in the Bangladesh Army. And it’s that you’ll have to pass both SSC and HSC securing the GPA 5 in both of the exams. Although the GPA requirement was 4 previously, it has been changed from 75 BMA long courses from 4.00 to 5.00 both in SSC and HSC individually. As the rank of officer in a military officer in Bangladesh consists of commissioned officers and warrant officers, Commissioned Officers hold the highest rankings in the army and comprise the lead roles such as Captain and General. In addition to these, the warrant officers are specialists and experts in certain military technologies or capabilities. Although there are several ways to reach an officer title, it requires determination, intelligence, and loyalty. Now, let’s know how to become a military officer in Bangladesh. It’s educational and physical fitness, which are very carefully judged while you’re going to be selected as a military officer in Bangladesh. And we’re going to talk about the requirements are for the long course officers only because requirements for the short course officers are different. Age: From 17-21 years for both male and female candidates. Academic Qualification: Minimum HSC/Equivalent examination from any discipline with GPA 5. Although the army is not looking for double golden A+ students, it’s obviously good for you and it’s a plus point if you’re double golden A+ (great student). For male candidates: Height 5’4” and weight: 45.36 Kg with chest: 30”normal and 32” when it’s extended. Female candidates: Height: 5’1” and weight: 40.82 Kg with chest: 28” normal and 30” when it’s extended. In addition to these, all candidates must have good eyesight (6/6) (with/without spectacles). We’ll take it for granted that you are not a crying baby first of all, as you are hoping to be a military officer in Bangladesh. as the life of a cadet (you’ll be called a Cadet in the training period) is very hard, mind it that according to toughness Bangladesh Military Academy (BMA) is at number two position (first one is PMA). Although just survive the two-year-long training period you have to be strong- yes, of course, “physically”, most importantly- “mentally”. And despite being the fittest person in the world, you’ll not be able to complete the training if you are mentally weak. In the process of elimination/selection, the preliminary exam is the first step that has two parts. There is one preliminary medical checkup and the other is preliminary viva. You’ll pass the preli med checkup if you fulfill the minimum physical requirements. Also, you should have a little smartness and good behavior, that’s all and you will also pass the preli viva where about 1/3* applicants will pass this exam. It’s sad but true about this one because one-third of the applicants will pass the preli and qualify for the written exams. And in this case, there are four subjects in this written exam, including Bangla, English, Math, and General Knowledge where each subject is worth 50 numbers and if you want to be passed then you must get 20 marks on every subject. That’s why an adequate preparation is needed as about 1200-1500* applicants will pass this exam. You’ll be allowed to face the Inter Services Selection Board or ISSB after passing the written exams. Among the selection processes, this is the toughest and coolest examination. If you don’t get screened out the first day then you have to stay at ISSB for four days as a maximum. During this period, you’ll have to take part in various tests, such as IQ, Discussion, Physical, Psychology etc. As this medical checkup is more thorough, almost everyone (except some) will pass this exam. This is the final step and about 110-200* applicants will pass this checkup and will be eligible to go to BMA as a Cadet. You’ll be invited to join BMA (Bangladesh Military Academy) and then you’ll have the golden ticket in your hand of becoming a military officer if you can pass all these steps/exams. 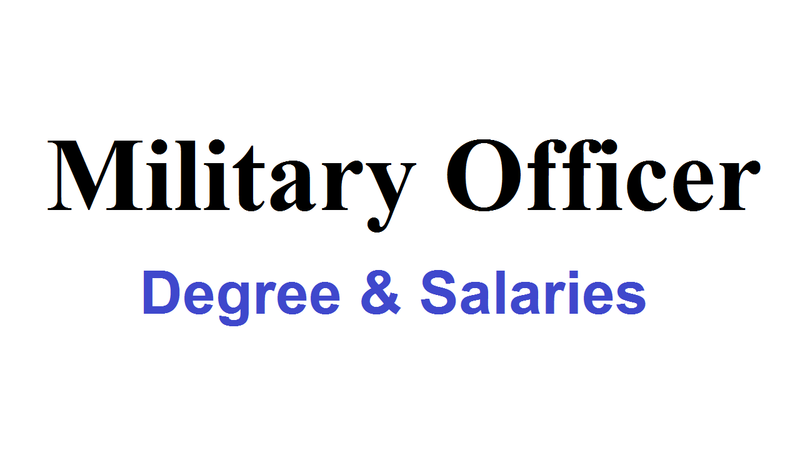 These are the process to become a military officer in Bangladesh in short and good for you!